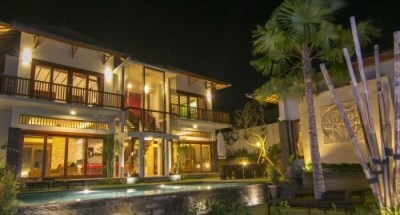 All our guests enjoy the privacy and tranquillity of our private oasis at Yoma Villas Bali. But what about some action? 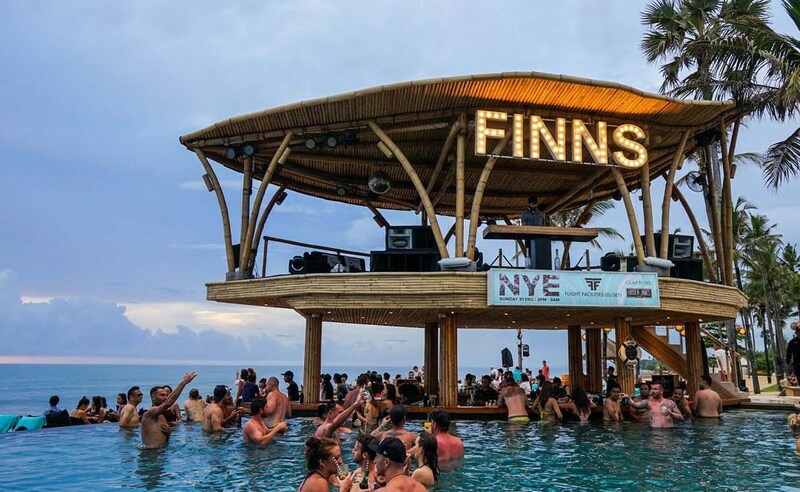 If you are after a “living” atmosphere where you can meet people, enjoy nice drinks and have fun, Finns Beach Club is the place for you. 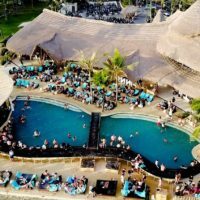 It is popular with couples and families, too, because of its laid-back character and amenities that make your day enjoyable. 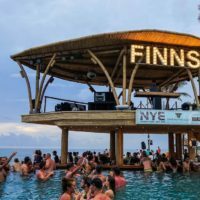 Finns Beach Resort is new and was only launched recently. To access it, you need to have your credit card with you and pay an entry fee. Within this fee, however, you have a credit to be spent on drinks and food. In the club, you will find nice meals including pizza and a great selection of drinks. There is an infinity edge pool at the resort overlooking the sea, a lot of areas to rest, inside area to chat and the access to the beach. 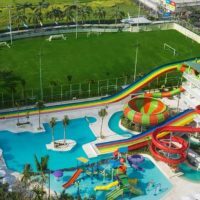 Multiple Restaurants including Bistro C, Splash Poolside Restaurant & Bar, Bounce Cafe & Bar, plus more….. This day pass costs IDR 450,000 (approx. 32 USD) for adults and IDR 300,000 (approx. 21 USD) for children between 3 and 12 years. 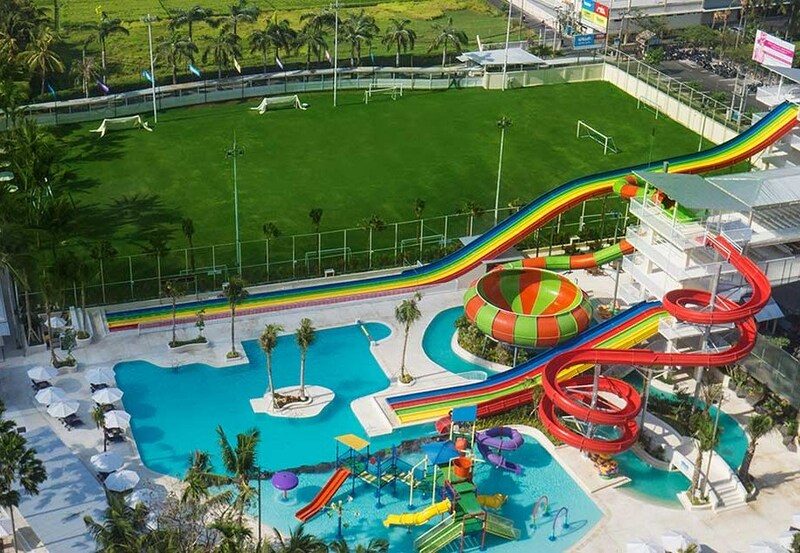 There are also passes for bounce park or bowling available including all-inclusive day passes to access all fun facilities. For booking and more info see the official Finns Beach Club website. Finns Beach resort is very close to our villas. You can rent a scooter in the villa and take the route through local back roads, so the trip is safe even for people not experienced to ride a motorbike. Even parents with kids can do it easily. You cross Padang Linjong and continue through Batu Bolong to get to Finns Beach Club. We will call you a cab and you will be there in a few minutes. Looking for Accommodation Near Finns Beach Club? 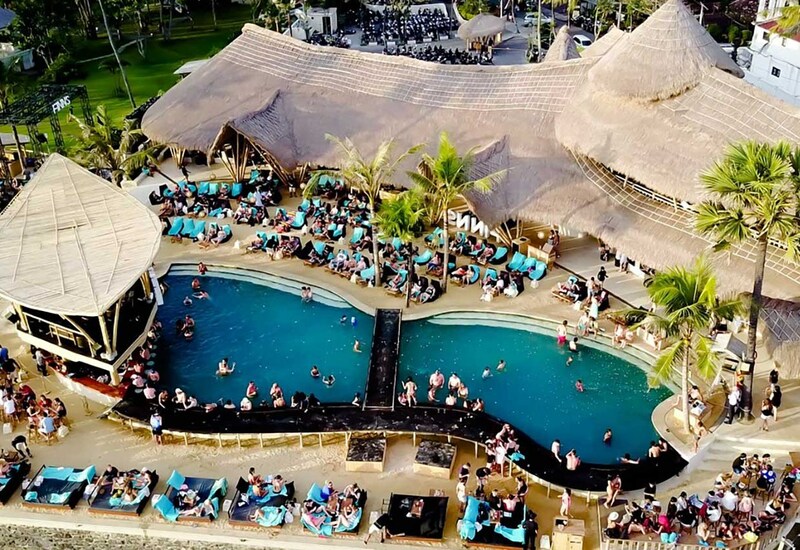 If you like the Finns Beach Club (either from our story or by already experiencing it) and look for an accommodation close by, Yoma Villas Bali are the perfect solutions. 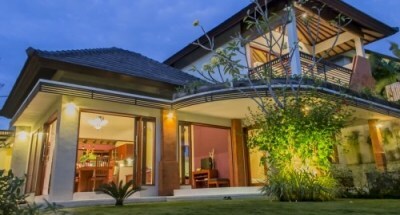 Located within minutes from Finns Beach Club, Yoma Villas Bali offer luxury accommodation in private villas. 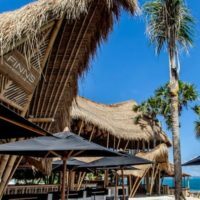 You can make day trips to all famous Bali attractions including the Finns Beach Club from our villas. 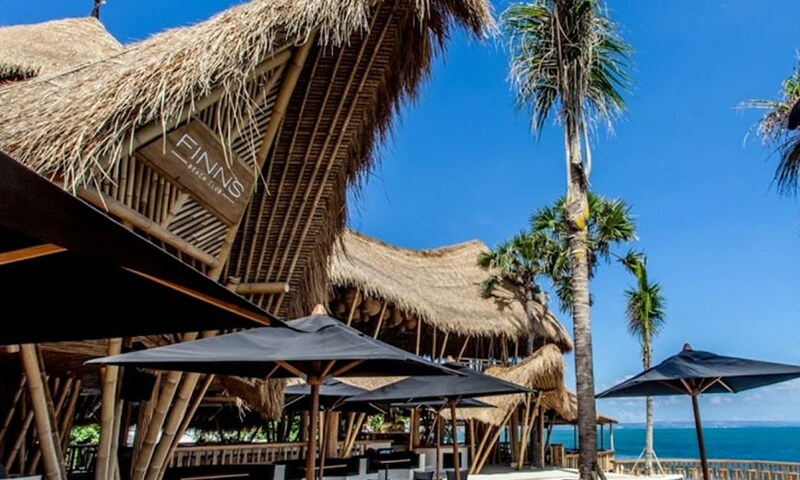 We offer privacy, comfort, security and proximity to all Balinese destinations which makes us the perfect spot to stay when wanting to visit the Finns Beach Club.